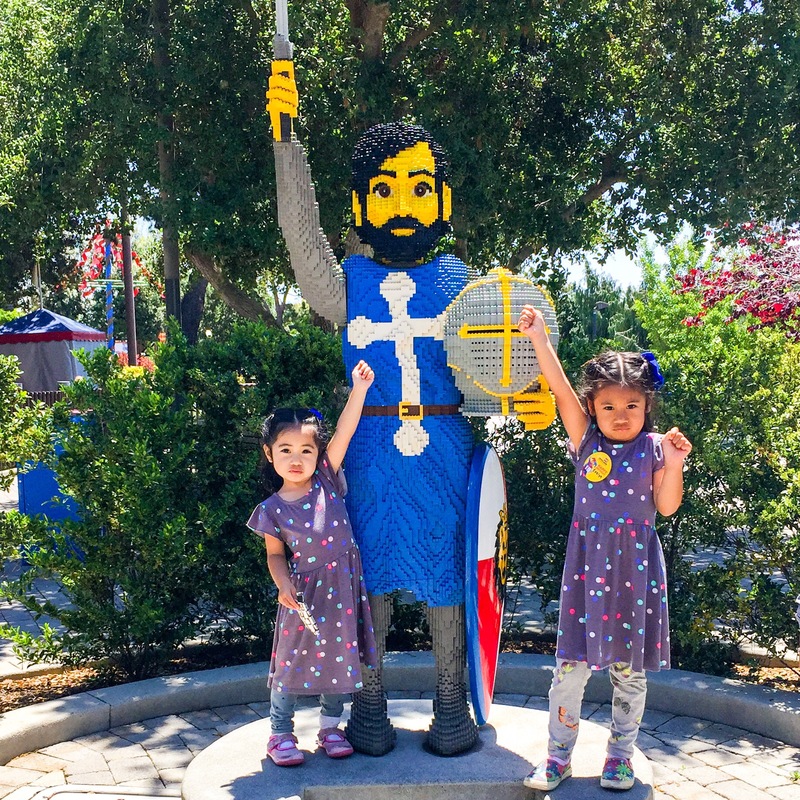 Family Trip: Three Days at LEGOLAND was Awesome! 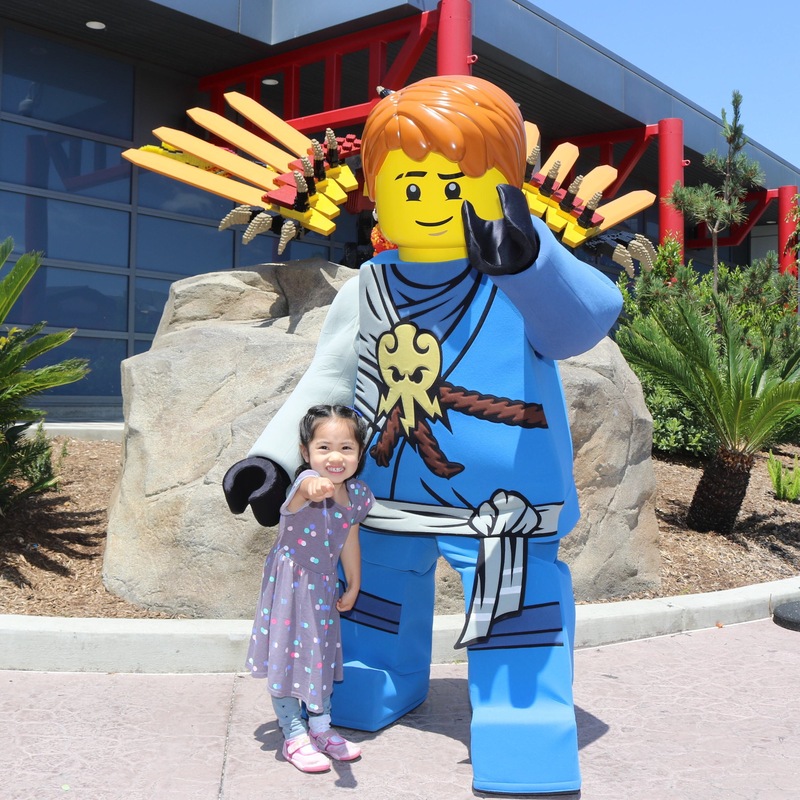 We asked our daughter if she would like us to throw her a 2-hour party for her 5th birthday or spend 3 days at LEGOLAND and 2 nights at the LEGOLAND hotel. Can you guess which one she chose? We’ve all never been to this LEGO world in Carlsbad, so it would have been a first for all of us. I was pleasantly surprised to find it so AWESOME! We arrived on a Sunday evening and checked into the Hotel as our first stop. The weather was drizzling so we weren’t in a hurry to leave Los Angeles and were bummed about the rain. However, the next two days looked promising. The Cali sun was forecasted to be out at least the next two days were planned to be in Carlsbad. 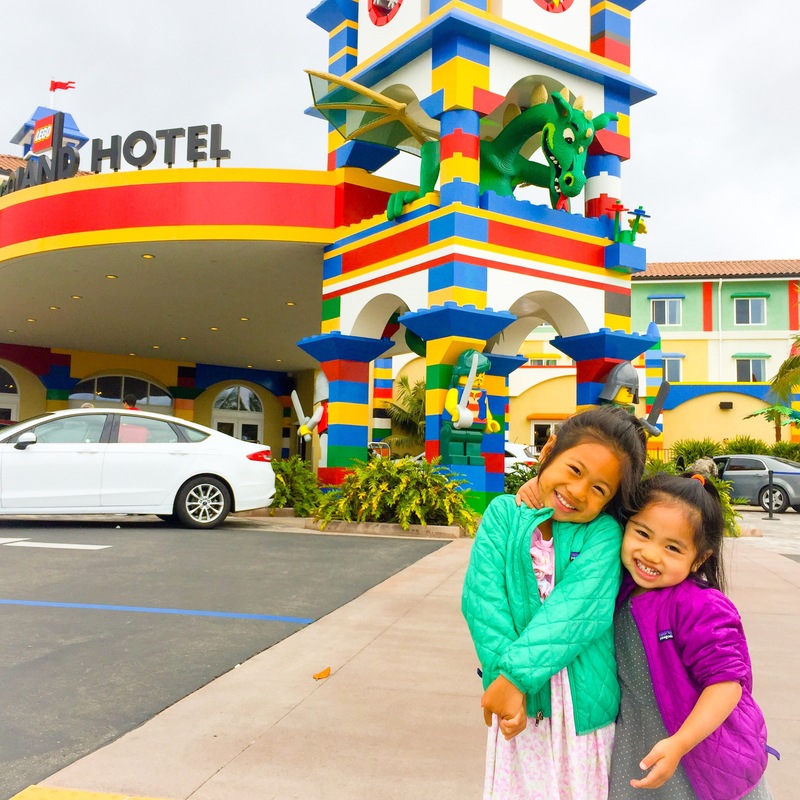 I noticed many small touches that made LEGOLAND Hotel the most “Kid-Friendly” Hotel we’ve stayed at. In the lobby, there is a huge LEGO tower with a small pool of LEGO pieces where kids can be entertained while I waited in line to check in. As for the hotel room itself, we noticed the door had two peepholes, one for the adults and one for the kids placed much lower. The door’s safety lock was placed really high up so that even older kids would have a hard time reaching it. The bathroom had a handheld shower sprayer, a flip down potty seat reducer, and a step stool which is something only parents with small kids can appreciate! There were LEGOs in the room, a treasure chest with MORE LEGOs and a TV in their own section of the room. The elevator ride itself was super fun to get on and our girls had a blast every time we used it. Evening activities were so fun as well. 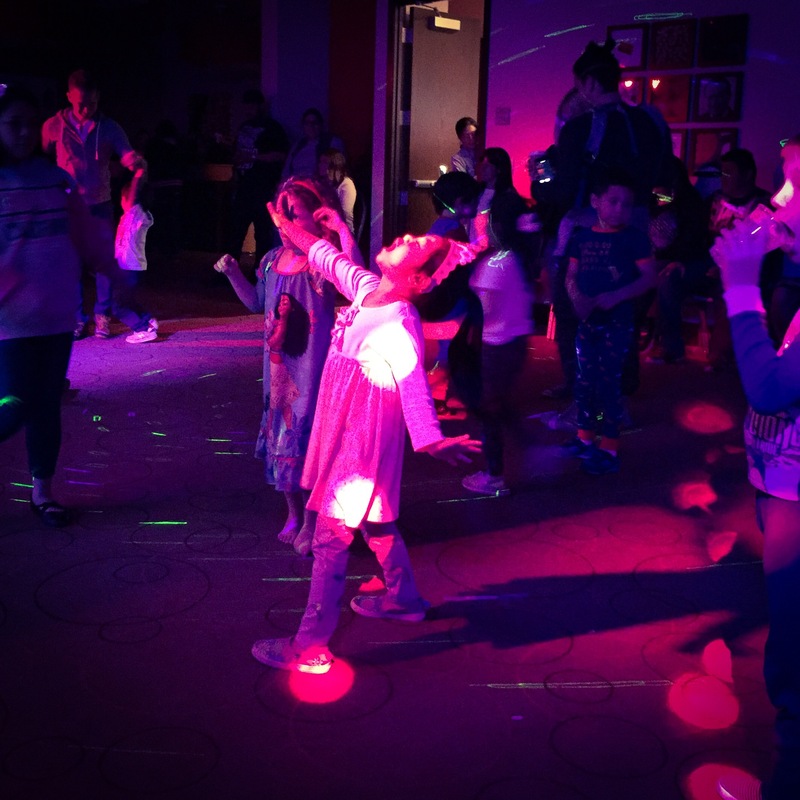 We spent an hour at the Jester Jam’s Dance Party both nights just dancing away! Maybe it was the weather or that we went on a weekday but the park was empty. All the rides had only a 5 minute wait time! We were able to go on many of our favorite rides more than once. We didn’t waste any time in line or felt like we had to rush around the park. And all the more time to appreciate all the LEGO sculptures and statues all throughout! 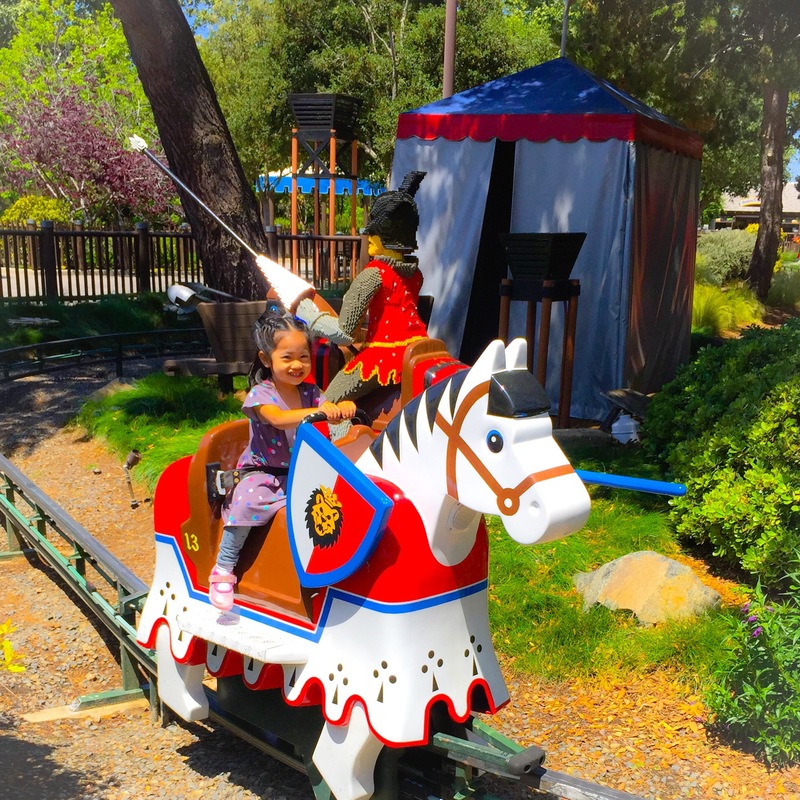 The Royal Joust was Kate’s favorite of all-time. She kept getting off and on it almost all day until I distracted her with Apple Fries which is a MUST-TRY when you’re there! We avoided the water rides and splash pads though because it was too cold for those during this trip. Big bummer! I noticed there were plenty of experience-type stations where kids would spend so much time just LEGO-building. At the Minifigure Market, Kate made our family out of mini-figurines. That’s me on the left. She wanted to give me “funny big hair” since mine is always so short. I felt like they really had everything our kids will like covered. From Fairy tales, LEGO movies, superheroes, Star Wars, race cars, pirates, castles, knights and dragons. We couldn’t even escape the princesses! Evelyn is scared of heights but loves roller coasters. Go figure! The Dragon coaster was her favorite which we rode about 4 times. 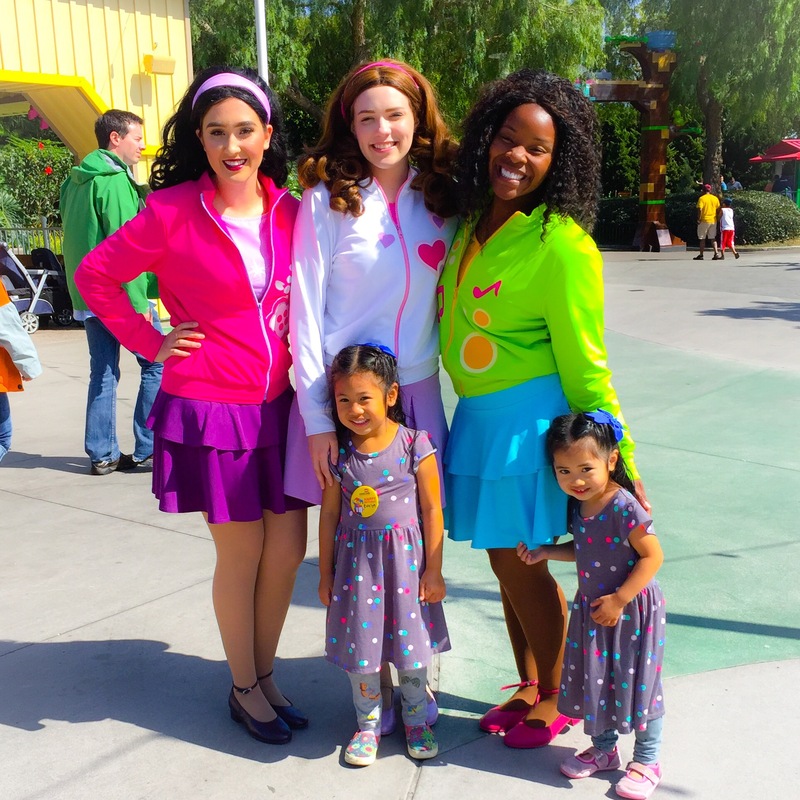 Evelyn reeeeeally wanted to meet the LEGO Friends. I honestly had no idea who they are and kept delaying it so we can go on other rides. Also because we were all the way on the other side of the park! 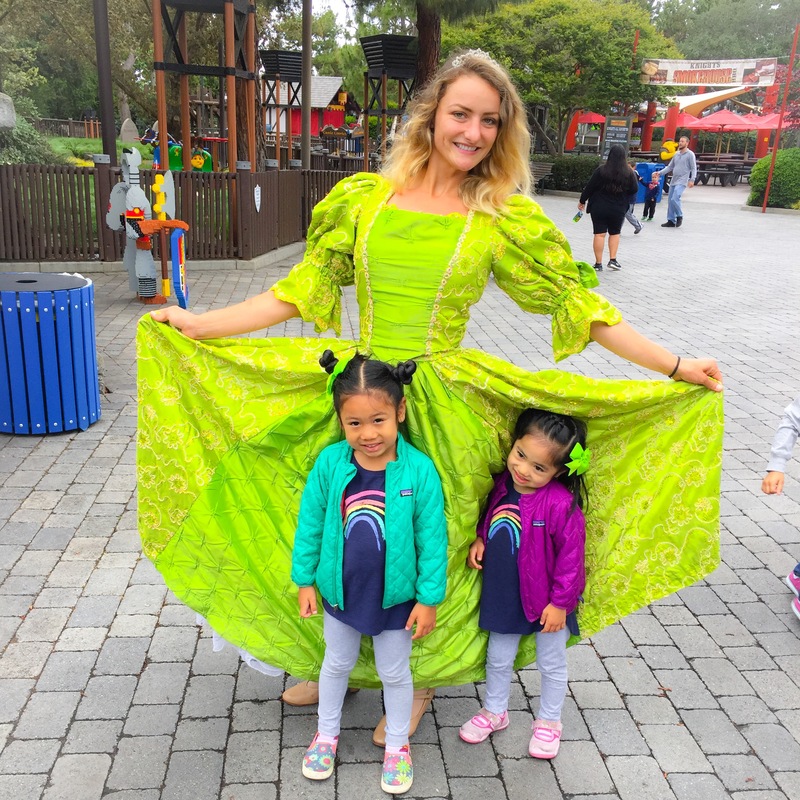 She eventually didn’t want to wait any longer, started pouting big time, refused to walk or go on any other ride until we saw them. So we trekked on over (which wasn’t really all that far) and stayed for the live show. 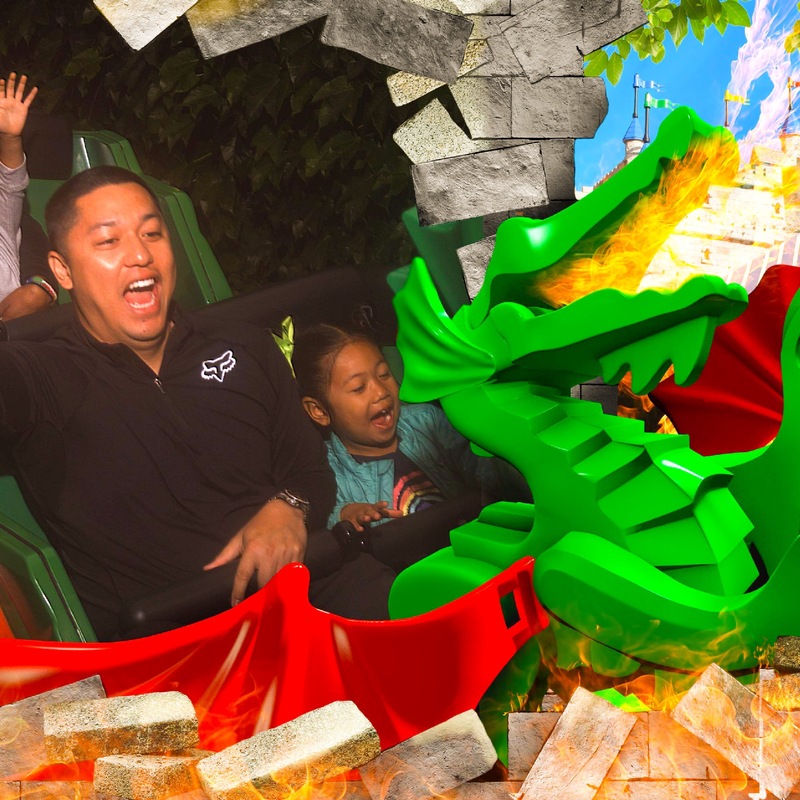 I’ve heard from other parents that LEGOLAND was really not a great place for small kids, but I think there was plenty for them to do. 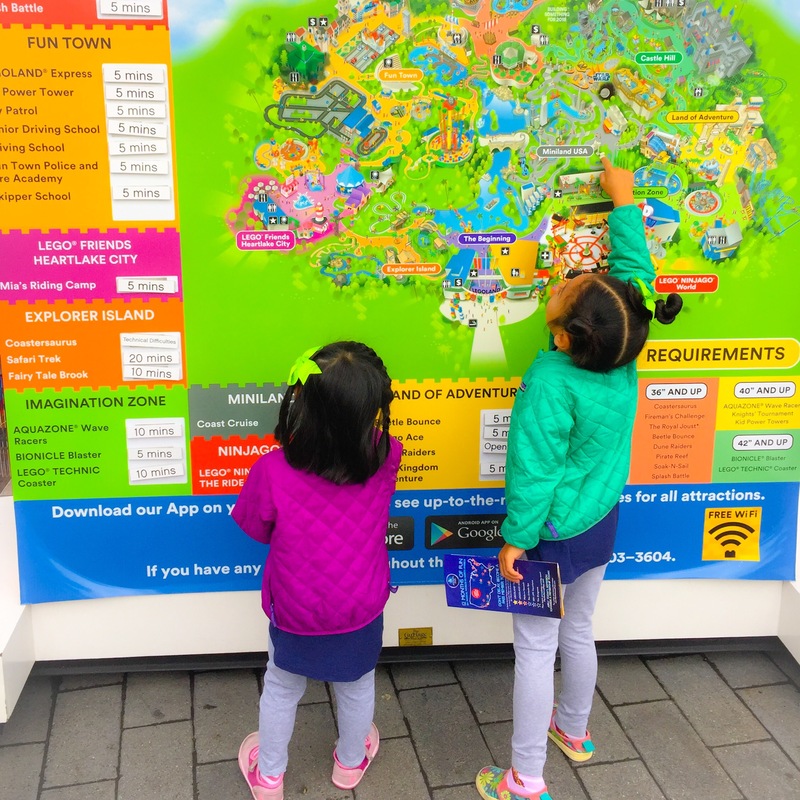 The park has a symbol on the map marked “What to do when you’re 2 at LEGOLAND” that can help guide your way around the park. 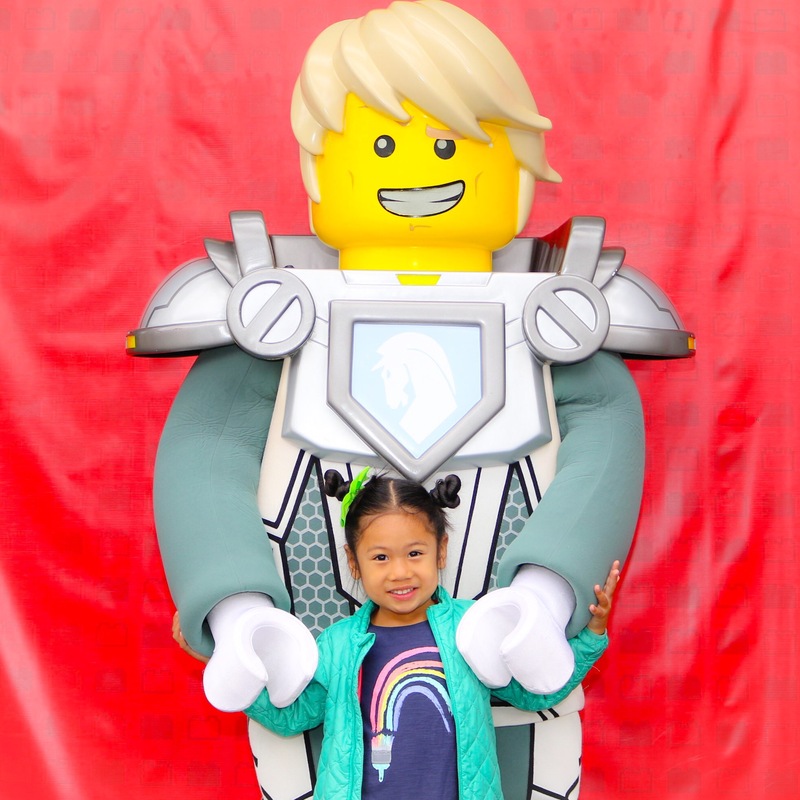 Just posing for photos with all the life-sized LEGOLAND figures can take up your whole day. I know you’ll definitely get more out of the park if you engage and build WITH your children. 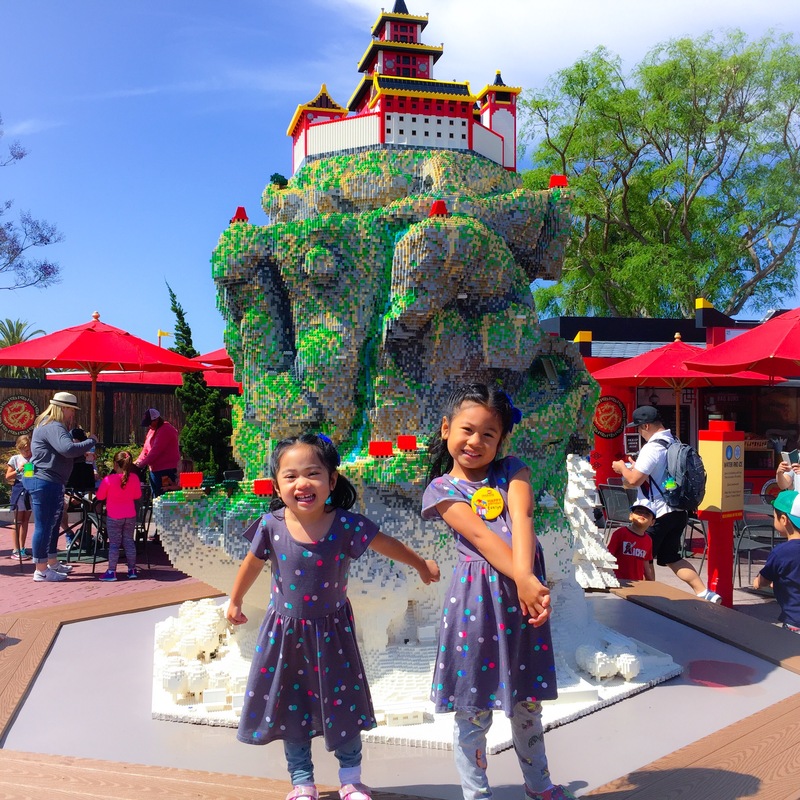 LEGOLAND can be a very different experience than other attractions because you’re constantly exploring and creating instead of simply waiting in lines. I’ll have to schedule another trip out here on hot summer days just so we can experience the Hotel Pool, the Water Park, and all the water rides and activities LEGOLAND has to offer. We left with lots of new LEGOs, photos, and lifelong memories. 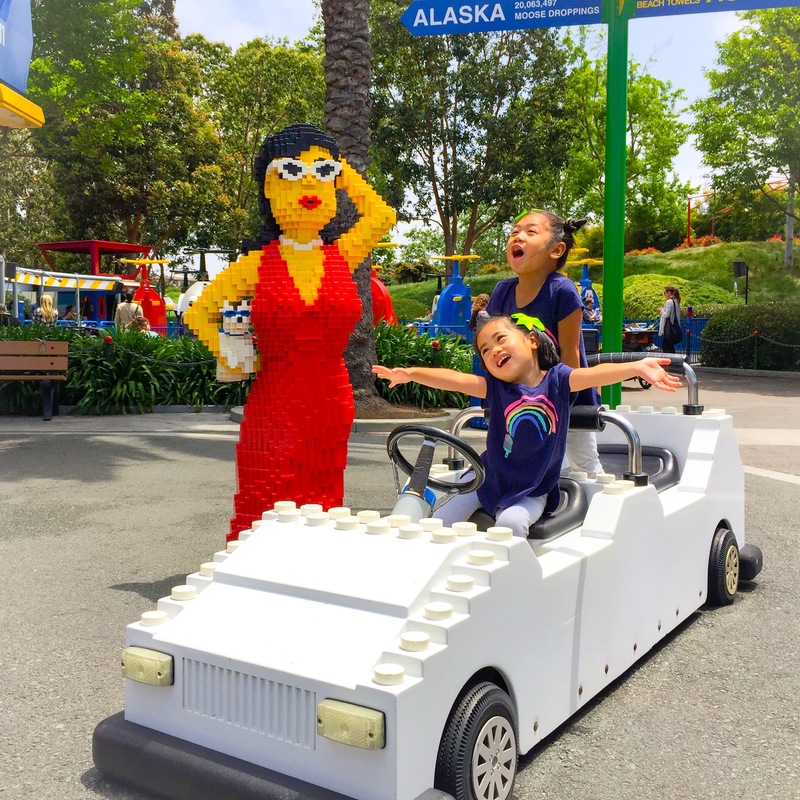 LEGOLAND is a great place for kids AND the kids at heart who like to be creative. Thank you for an AWESOME time! 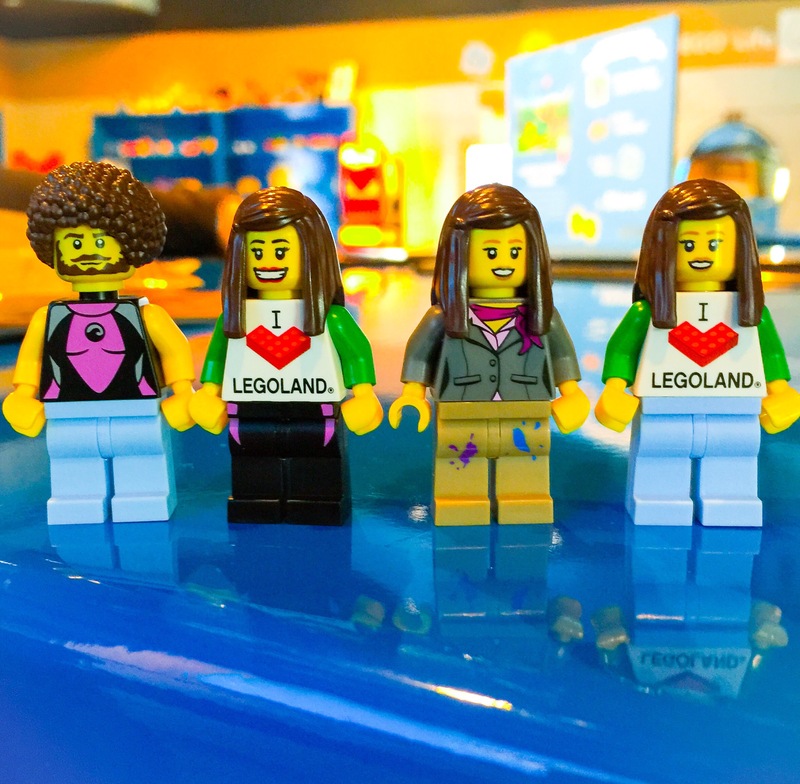 This post was sponsored by LEGOLAND and the LEGOLAND Hotel.